The Iraqi government’s decision to close the Al-Waleed refugee camp, which has the support of the UNHCR, will put the lives of Ahwazi Arab refugees in danger, warn Ahwazi Arab activists. Refugees are being moved back to areas they had fled due to a campaign of intimidation, harassment and murder by Iraqi militias associated with governing parties. Following the invasion of Iraq by US-led forces in 2003, Ahwazi Arabs faced harassment and persecution by militias supported by or sympathetic to the Iranian regime. In 2003, the UNHCR estimated there were 6,700 Ahwazi refugees in Iraq, mainly in Dujaila and Kumiet. During the war, Ahwazi “homes, crops and other property [were] confiscated” by Iraqi militias. Most Ahwazi refugees have fled Iraq since the 2003 invasion. Attempts to set up a UNHCR transit centre for 80 Ahwazi families in the outskirts of Basra were thwarted due to violent harassment. Ahwazi Arab refugees were expelled from camps in Basra and Amarah and children of Ahwazi Arab descent were expelled from Iraqi schools and universities by the post-Saddam regime. Persecution of Ahwazi refugees has been accompanied by a series of murders of Ahwazidissidents in Iraq by death squads. 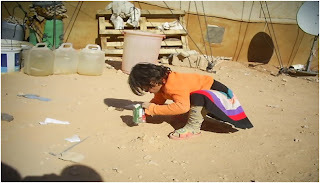 The Al-Waleed refugee camp was created near the border with Syria close to the Al-Tanf crossing in 2006, after Palestinian, Ahwazi Arab and Kurdish refugees were displaced by the militias. However, the Syrian authorities have refused them entry or asylum. Many Palestinian and Kurdish refugees were able to leave the camp – some with the assistance of the UNHCR – but at least 90 Ahwazi Arabs remained there in large part because, unlike Palestinians and Kurds, the Ahwazi community lacks a significant international lobbying force or a safe place for resettlement. 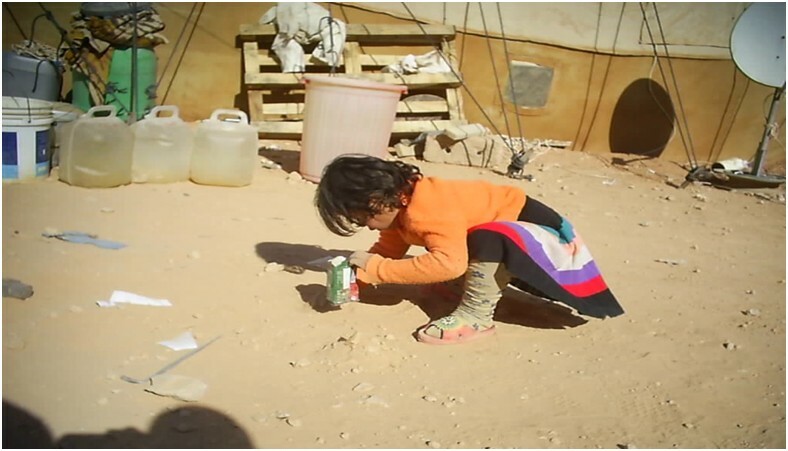 Camp conditions were poor with a lack of education, healthcare and no access to sanitation or clean water. The Iraqi government is, however, relocating the refugees back to areas they fled in the aftermath of the war, including Basra where Ahwazi refugees have been detained and threatened with deportation – an action that would represent a violation of international law. There is no possibility of a safe return to Iran, particularly given the fact that many were given asylum by the Iraqi government during the 1980s at a time when it was hostile to Iran, an ally of Western governments and sympathetic to the Ahwazi cause. Iraq is a state party to both the International Covenant on Civil and Political Rights (ICCPR) and to the Convention against Torture (CAT), treaties which prohibit the forcible return of anyone to a country where they would be at risk of torture or other ill-treatment.